Do you know which language was used in the early age? It is always a mystery about which was the oldest language used. The first language spoken on Earth is estimated to have emerged around 200, 000 years ago in Southern or Eastern Africa. Other old languages have changed over, yet remain recognized as being related to the original. Know more about the same: https://www. Boomerang Native Art is top ten company in Australia. Naidoc Activites is fully Australia in July to celebrate the history and achievement of aboriginal. Boomerang has been providing blank boomerang, wooden boomerang, boomerangs to paint and What to do in Naidoc Week? etc..
Groceries - Doorstep Organics | Order now! Doorstep Organics delivers fresh, organic produce direct to your door, 6 days a week. Choose from Sydney’s largest selection of certified fruit and vegetables, vegan, artisan, and specialty groceries. Order organic food online in Australia with ease. Visit our website Doorstep Organics or contact us below. Servicing all states of across Australia. Whether it's grain, construction material, mining related or other form of bulk haulage, we have tautliners and a fleet range of high quality to suit your need. Ireland Bulk Haulage is Maitland’s trusted team of transport and haulage professionals http://irelandbulkhaulage. Peel and stick removable wallpaper, custom printed for your home or business. Choose from over 102 million images and transform your wall. Shop now at Website:	https://www.luxewalls.com.au/ Address: 94 Beattie St Balmain NSW 2041 Australia Email: hello@luxewalls.com.au Phone:	1300 588 526. We are pioneers in premium window furnishing and security products and love what we do. Mal Glanville & Co came into existence in 1975 and we are a family owned & operated business servicing the Central Coast & Hunter Regions with our extensive knowledge and professionalism. We continually look for ways to improve standards to ensure we stay in touch with clients and their needs. You don't have to stress yourself about painting jobs. You have Prestige Coatings to help you with this concern. We are an expert, and we know well when it comes to this work. More than just making your home look better, we want to make it more comfortable and convenient for you. If you have other concerns about our services, you can call us today or simply give us a call at 0416 850 000. Rail Construction company that offers a one-stop-shop for Australia's rail construction needs. Website: https://onrail.com.au/ Phone: 02 9627 6112 Email: accounts@onrail.com.au Address: 26 Princess Street Riverstone NSW 2765 Australia. 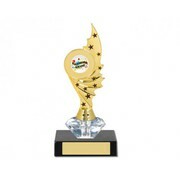 Are you looking forward to a platform to buy a highly stylish and best quality made trophy at the reasonable prices? Olympia is the solution of all your confusions. Olympia is a distinguished platform highly dedicated to serving the best and various types of trophies without compromising the quality..
Oz Timber Floor are specialist in supply and installation of flooring based out of Sydney NSW. With over seven years of experience in the industry, we offer a wide range of products including Bamboo, Laminate, Floating, Vinyl, Solid and Parquetry with affordable pricing and excellent service. The installation is provided by our professional team with cost effective and great attention to details to ensure we deliver on customer satisfaction and produce the vision they had for their project. 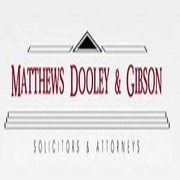 Specialised and experienced Legal team providing comprehensive advice and excellent service. We work together with our clients in a cost effective and timely manner in order to achieve agreed outcomes. For an initial free consultation, telephone 9621 7755 https://www.mdglegal.com.au/ mdg@mdglegal. At Moblack Hydraulics Pty Ltd we pride ourselves on being leaders in the hydraulics cylinder manufacturing and repair industry. Based in Sydney we can also cater to regional, state and countrywide clients. We manufacture a range of hydraulics cylinders and can supply based on specific requirements. Website: http://moblack. Raise the Roof are Home Builders, First Floor Builders, and Home Extension exports in Sydney's Northern Beaches. Based in Mona Vale, and with over 55 years experience we offer an all round construction service, to those in Manly, Dee Why and beyond. Call us today for an obligation free quote! http://www. Licensed and accredited electricians offering variety electrical services to locals, we look after customers’ house like our owns, no matter the job is big or small. Call us on 9576 5398 for a up-front price. Website: https://kirinelectrical.com.au/ Phone: 0295765398 Email: info@kirinelectrical. Mango Credit has operated as a short term commercial lender for over 15 years. We are committed to offering a range of professional and flexible short term lending solutions. 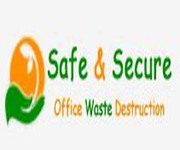 Our core products are property secured loans for business, investment and personal purposes.. Funds are private, settlements are performed electronically and decision makers are on hand for every enquiry resulting in exceptionally rapid approvals and settlements. Want to add some spark to your advertising? Or, want a superior quality visual display setting for your next business meet? Buy LED Screens is there to help you out in your every woe. We offer technologically advanced LED screens in Sydney for the stage, showroom, shelf signage and advertising or rental. International Award winning boutique interior design company situated in the historical suburb of Balmain. We specialise in Commercial and hospitality projects including offices, restaurants, boutique bars and hotels. We are passionate about design and we love to create amazing spaces for our clients Website:	https://design4space. We take pride in offering some of the best custom trolleys for the Healthcare, Hospitality and Industrial uses. Contact us 1800 80 2224 to get a free quote. We are leading manufacturers and importers of high quality medication carts, instrument trolleys, linen trolleys, basket trolleys, mesh trolleys, bin trolleys, storage trolleys, multipurpose trolleys, tall boy trolleys, all hospitality trolleys, bakery trolleys, dolly-trolleys and bulk delivery trolley and much much more. Medtrans provides the best high-quality pharmaceutical translation services in Australia. Pharmaceutical industry requires detailed documentation of all processes and products for providing the best translation. We are the No. 1 pharmaceutical translation company in Australia because we offer the fastest translation services at an affordable price and provided work on committed time. Future Services is a Medium sized electrician company that is fully licensed. We are enjoying continual growth in size and reputation working throughout Baulkham Hills, Sydney. We approach every job with a professional attitude to the electrician work. With our fully equipped vans, our team is highly skilled and is ready to meet your electrical needs. Do you need great electricians available 24/7? Contact David Jones Electricians today. With main office based in Newtown, we specialise in domestic and commercial electrical work where quality, appearance and dependability are your watchwords. We are experts in the maintenance, re-wiring, alterations and additions of inner city Sydney terraces, houses and home units. Do you need professional Sydney electricians who turn up on time, clean up after themselves, care about the quality of the job they’re doing and are available 24/7? Call only one company - David Jones Electricians. Based in Newtown, David Jones Electricians specialises in domestic and commercial electrical work where quality, appearance and dependability are your watchwords. Lead regulator approved Racehorse syndicator who offers shares in well bred horses, trained by one of Australia's premier Golden Slipper winning trainers. To own your share in a quality racehorse, contact us on 02 9681 5002 today! Address: Guildford West NSW 2161 Australia	Phone:	02 9681 5002	Website:	https://elitethoroughbreds. 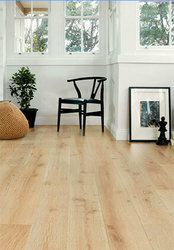 Preference Floors is a 100% Australian owned company specializing in supply and distribution of Timber Laminate Flooring, Spotted Gum Flooring, Laminate floors and vinyl plank floors to Australian markets nationwide. Let your taste buds explore in Unabara. If you are searching for best brunch menu serving Japanese restaurants in Melbourne, pay a visit to Unabara today. Whether you are craving for ultimate lobster roll, freshly shucked oysters or any other seafood, we are here to serve your cravings. Visit our restaurant for the delicious Japanese brunch in Melbourne. Signmaker Solutions is a one-stop solution for all kinds of customised and professional screen printing service in Australia. From simple one vinyl stickers printing to other complex marketing material, we help our clients bring their designs to life on the surface of their choice. For more information about our custom screen printing services, visit https://www. Other services Sydney ads Sydney, Other services classifieds Sydney, Other services free ads Sydney, ads for sale Sydney, ads to buy Sydney, FREEADSAustralia Page number 8-1. Find here ads for sale, to buy and rent in Sydney. Goods for sale in Sydney, vehicles for sale in Sydney, Sydney real estate for sale, Sydney property for sale, property for rent in Sydney, business ads in Sydney, Sydney business classifieds, services in Sydney, Sydney services ads, jobs in Sydney, pets for sale in Sydney, Sydney dating, Sydney cars for sale.